MRF24J40 is a complete IEEE 802.15.4 radio and operates in the 2.4GHz freq band. 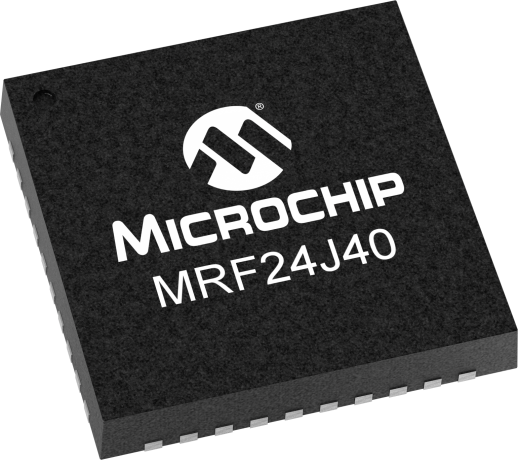 The MRF24J40 supports ZigBee™, MiWi™ and proprietary protocols to provide an ideal solution for wireless sensor networks, home automation, building automation and consumer applications. For a modular solution based on the MRF24J40, Microchip offers the MRF24J40MA and MRF24J40MD. These fully-certified modules minimize product development and enable quick time to market.